Raised among a family of musicians, David Blancas chose a different route and studied fine arts at the University of San Antonio. 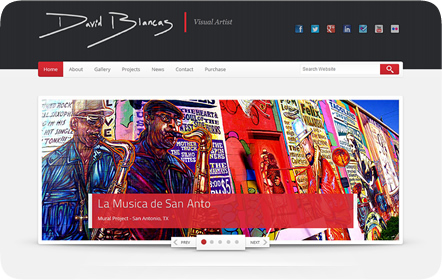 Today, he is a well-known local artist whose works can be seen throughout the San Antonio area. 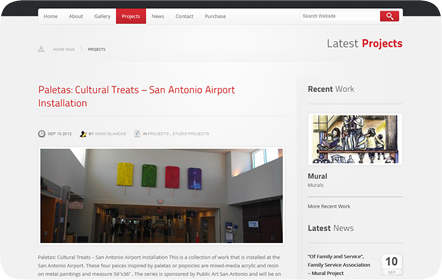 His unique “Paletas,” popscicle-shaped artworks made of acrylic painted on metal, have recently been installed in the San Antonio Airport. His murals have also become an integral part of shaping the downtown San Antonio area and represent the culture and lifestyle that is living in this unique city. 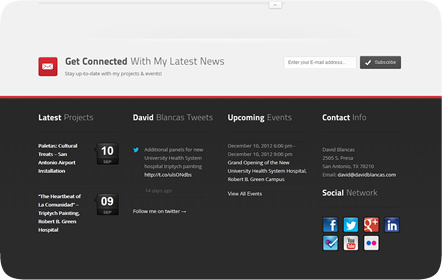 David Blancas did not have a website prior to coming to us. One of the most important features for him as an artist was to be able to have a portfolio to showcase and share his work easily, especially for his murals and larger pieces. Through Wordpress, we provided the local artist a way to manage his own content, latest news and events. 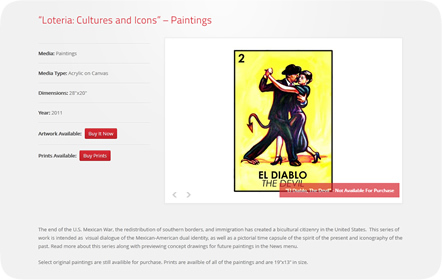 The gallery, which he can update to include more of his own work, showcases all of his artwork ranging from his iconic “Paletas” to his murals and commissions. 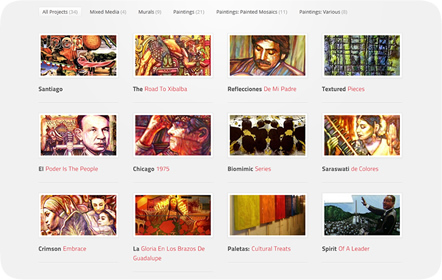 The calendar features his upcoming events, such as the unveiling of a new piece or a new installation. 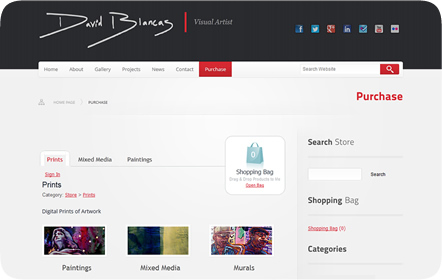 David Blancas also wanted to be able to sell his artwork easily. 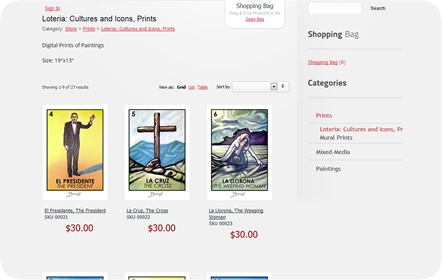 We added to his website an online shopping cart where users can purchase either original artwork or prints of his pieces. 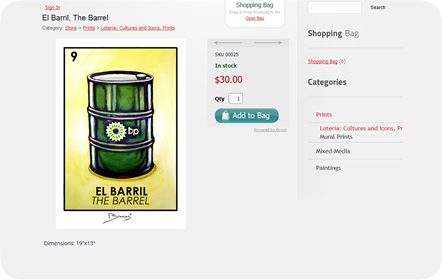 Each piece features a thumbnail and a small description of the art so people know exactly what they’re purchasing.